The Hamiota, Yellowhead and Prairie View municipalities and the Park West School Division joined forces to form their own non-profit internet cooperative, with the goal of bringing high-speed internet to their communities. Buffering video streams and choppy Skype conversations could soon be a thing of the past for residents in several southwestern Manitoba communities. The Hamiota, Yellowhead and Prairie View municipalities and the Park West School Division joined forces to form their own non-profit internet co-operative, with the goal of bringing high-speed internet to their communities. A "backbone" fibre optic line has been built from the community of Inglis to Hamiota, picking up other centres like Russell, Birtle and Strathclair, as well as every school in the Park West School Division, said Tom Mollard, chief administrative officer of the Hamiota Municipality and secretary treasurer for the co-op. "It's kind of overwhelming right now when you realize the potential of this thing, now that we've set it up and we've demonstrated it to the community," Mollard said. Currently, residents have access to internet speeds between 10 and 100 megabits per second, Mollard said. The new service will have bandwidth of up to 1,000 Mbps. The concept for the co-op originated in 2009 when the school division and the municipalities got together to work on a plan to bring fiber optic cable to the communities and schools. After unsuccessfully seeking help from other levels of government, the school division and three municipalities decided to form the Park West Fibre Optic Co-op in April 2016. Hamiota is in the process of connecting every building in the community to the network, and Mollard expects between 60 and 70 per cent of the community's 800 residents to subscribe, with likely higher subscription rates in rural areas. Monthly subscriptions will cost around $60, Mollard said. Money made from the service will be used to cover construction and maintenance costs. Faster internet is key to attracting new businesses to the region, as well as retaining its current population, Mollard said. "In rural areas, [internet is] almost non-existent. The signals are very weak and very limiting on what people can do and access through the service," he said. "Just for entertainment, streaming movies, all that kind of stuff. And for businesses, transferring data, operation of something as simple as their debit machines. From what I understand, as fast as you push the buttons, the transfers take place. So overall, everything just gets better and faster." Some seniors who might not be familiar with what a speedy internet connection can do will notice a difference when communicating with relatives, Mollard said. "So they phone their kids up and say, 'Hey, we've got this potential for a new internet, what do you think I should do? And the kids are saying, 'Well, you're cutting out every time we Skype.'" About 60 people came to a demonstration at a school in the Park West School Division in June and the reaction was positive, with several people signing up for the service, Mollard said. The co-op is the latest example of Manitoba municipalities investing directly in improving internet infrastructure in their communities. The City of Winkler invested $500,000 in Valley Fibre, which is installing fibre optic lines to every residence and business in the city. 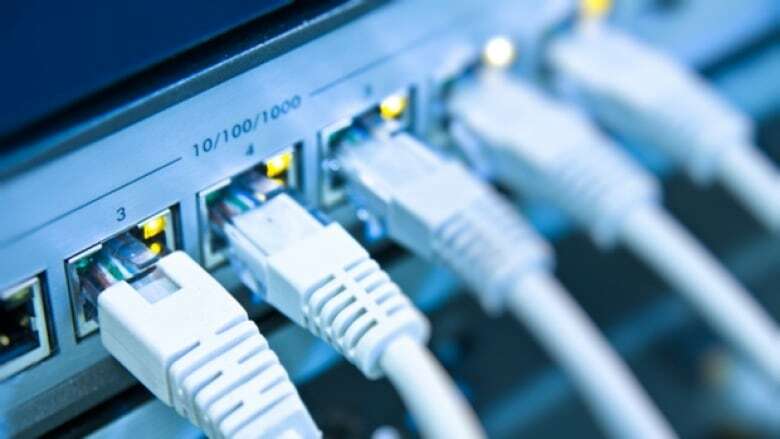 A collective of First Nations, the Manitoba First Nations Technology Council, formed Clear Sky Connections with the aim of installing 3,600 kilometres of fibre optic cables. In December 2016, the federal government announced it plans to spend $500 million to bring high-speed internet to around 300 rural and remote communities.